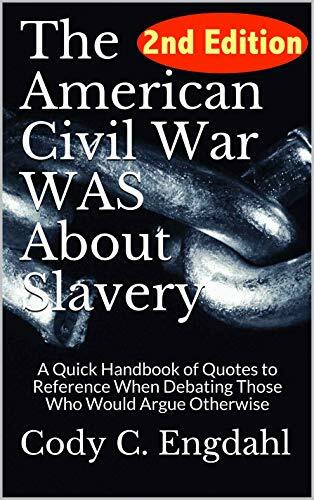 Are you tired of having to argue with people who say the American Civil War WASN'T about slavery? Are you ever frustrated that they came prepared to argue, but you didn't? This is a very brief, easily navigated handbook of actual quotes from the people who were directly involved in the conflict. Let the Confederacy speak for themselves. They were very clear about their motives. Don't let the "lost cause" myth muddy our true and important history.